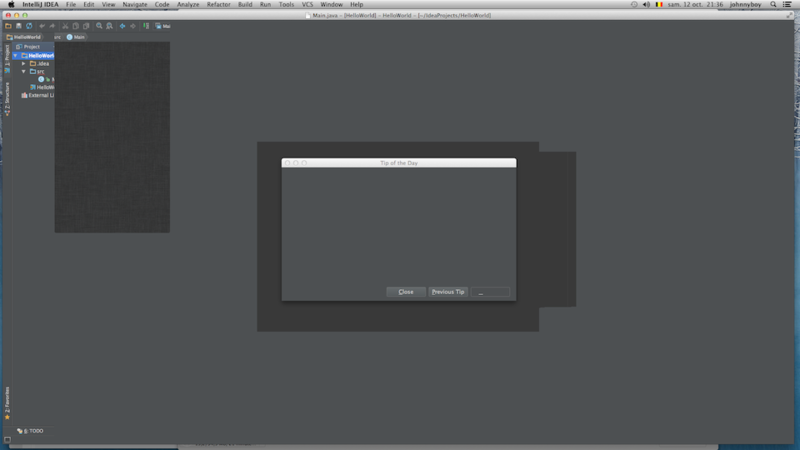 I'm running a test with Idea 12 on mac os x 10.8 and i faced a problem with it. All the window are left blank, no content, until a drag another window over it, so i have a refresh and i can see the content. It happens on the launcher window, the app, the settings, in code edition window... all i can see is the title but no content. I've try Idea 12 ultimate ed., community ed., php storm... the behavior is the same. 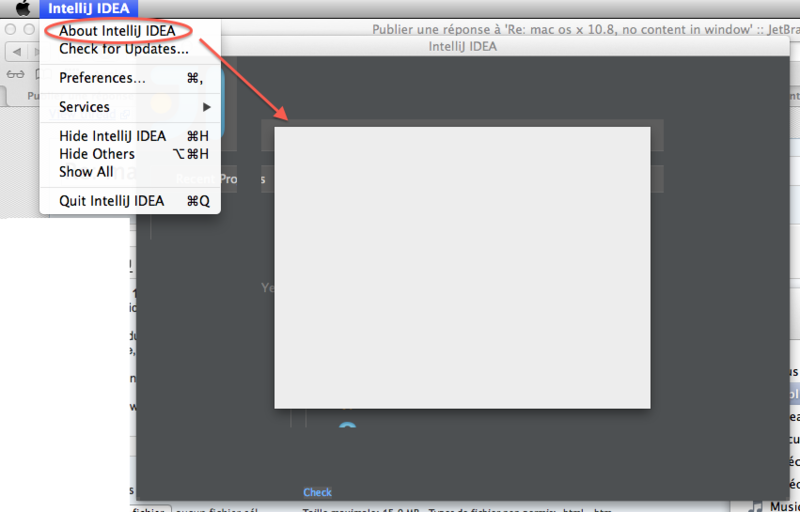 Can you reproduce this using the latest build 12.1.6 (http://www.jetbrains.com/idea/download/index.html)? What version of Mac OS X are you running exactly? 10.8.x where x = ? i can reproduce it everytime. Could you please run /usr/libexec/java_home -V and post output here. 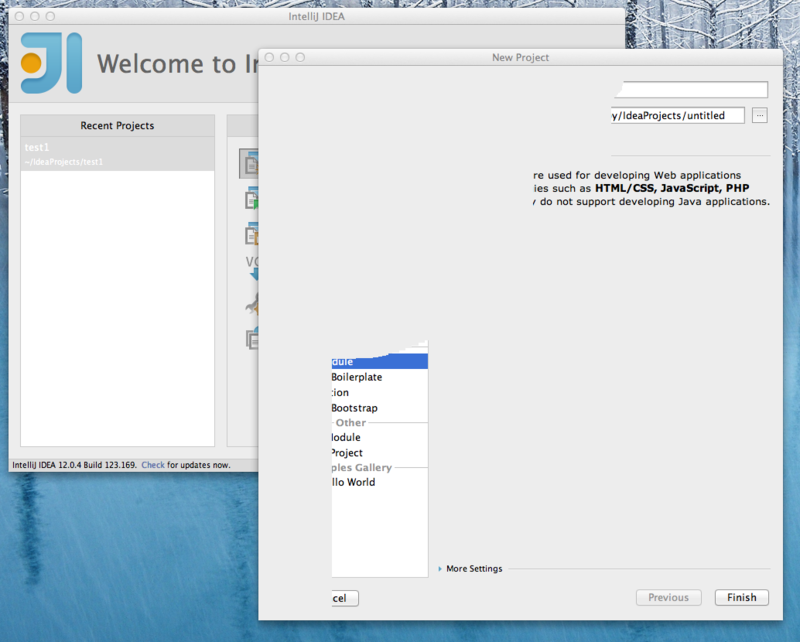 What is wrong with jvm 1.6 on os x 10.8.5 ? After some others tests, i found that the same problem occurs with the belgian eid program. IntelliJ was not the problem. 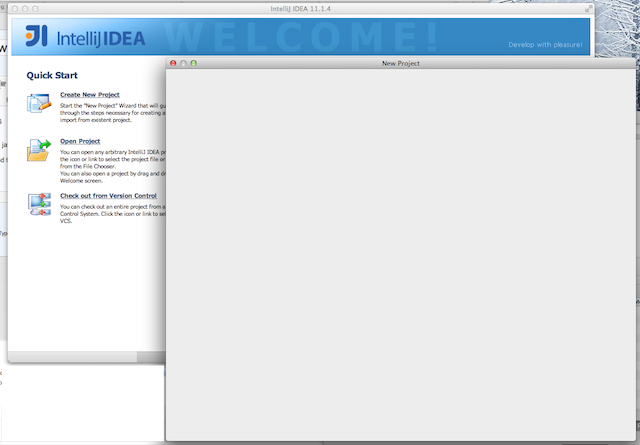 I've just downgraded to previous version and everything works fine (back to java 6 again). thank you for the report. Good to know everything is fine now.